My cousin Cody High was enjoying time with his Family in Florida on summer vacation. The family saved up money to visit Disney World and other Florida sites. On day one in Florida, the family is playing in the ocean on Cocoa Beach. 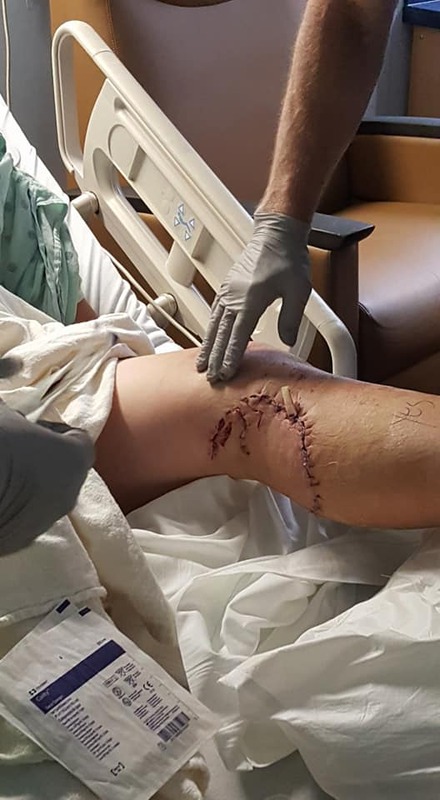 Cody is playing with his niece and nephews when a 6 foot Bull Shark takes a huge bite out of his left calf. Cody was rushed to Cape Canaveral Hospital where he was stabilized and evaluated. They could not do surgery at this hospital so they transferred him to Arnold Palmer Children's Hospital. Finally, a gifted surgeon, Dr. Levi, stitched up Cody's leg. The doctor said there were too many stitches to count. 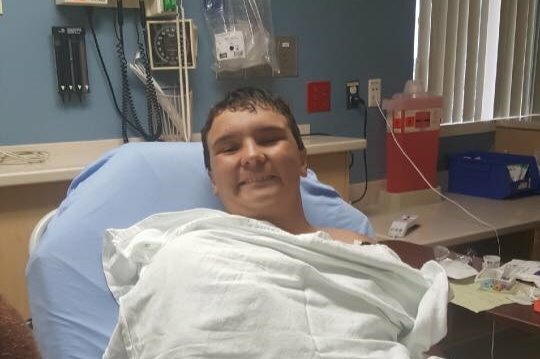 Cody is resting and recovering but hopes to still enjoy Disney World. 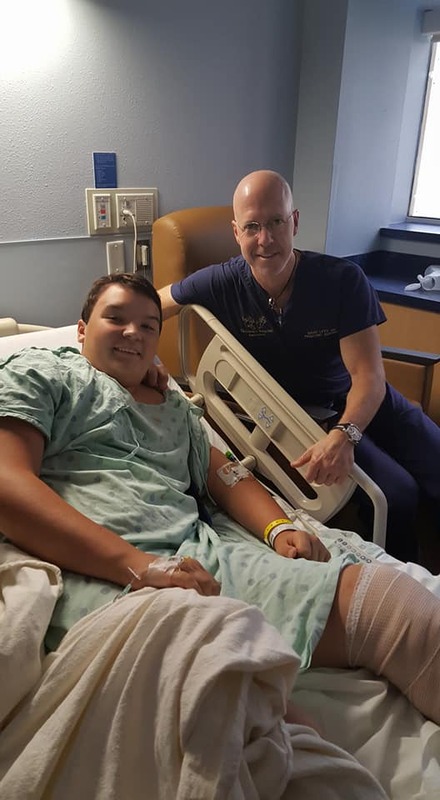 Please contribute to this Go Fund Me page to help with the various medical costs associated with this horrific encounter with the Bull Shark. Cody will need extensive rehab. At this time it is not known if he will need other surgical procedures. All the funds will go toward medical costs. Cody is doing better today hopefully he will be released soon.